The Hyundai Genesis Coupe changed everything when it hit the market a few years back. A car with sporting potential, rear wheel drive, and at a price point within reach of the average auto enthusiast buyer – until it came along, there hadn’t been anything like it on the market for years, and in many ways paved the way for Scion FR-S/Subaru BRZ to become actual production models rather than just concepts. 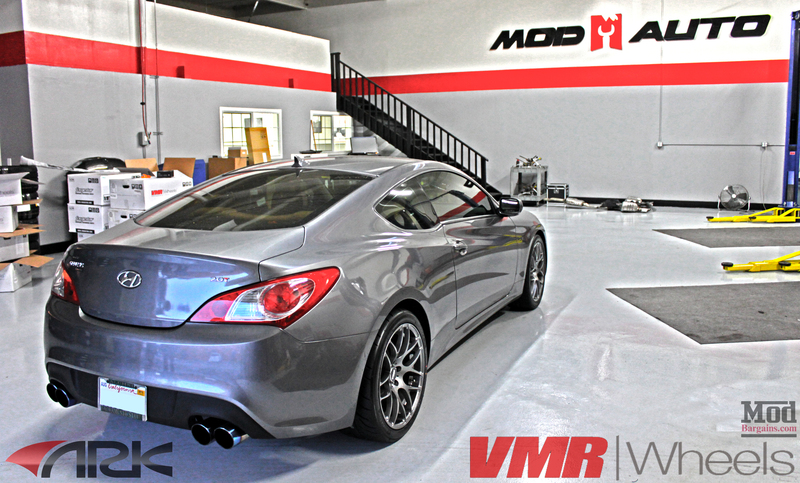 The particular Genesis Coupe came into the shop a while back to get a fresh look with a bit of help from Mod Expert Elliott Goodman. 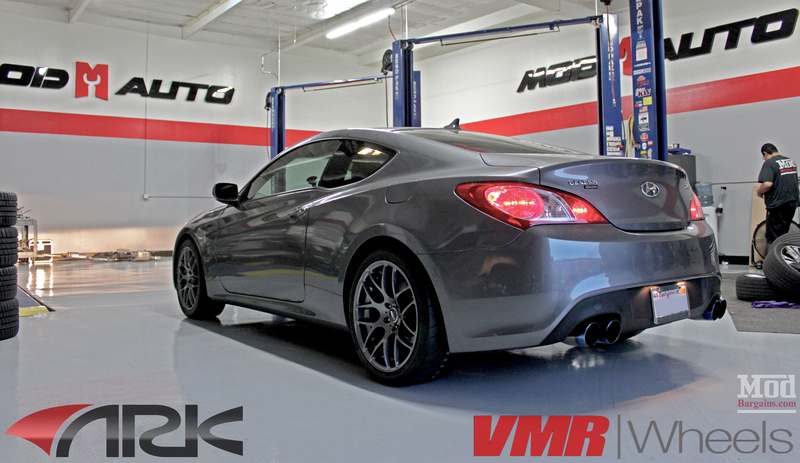 Elliott recommended a set of VMR Wheels V710 for Genesis Coupe in a 19×8.5 / 19×9.5 staggered fitment, in Hyper Silver Finish. These Genesis Coupe Wheels look much better than factory and are lighter, too. Out back, this Genesis Coupe boasts an ARK GRIP Cat-Back Exhaust for Genesis Coupe 2.0T with quad tips, giving the car more bark than stock and a much sexier rear end aesthetic. The increased flow of the ARK Performance catback also yields a +8whp gain for a bit more grunt, too. 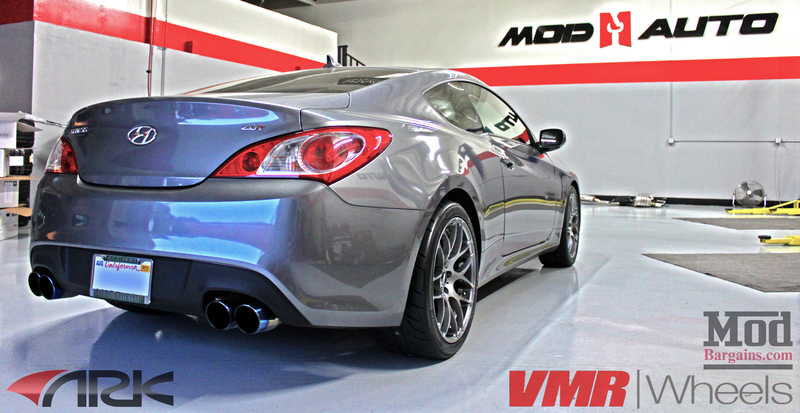 Whether you’re looking for an exhaust for Genesis Coupe or a set of Genesis Coupe Wheels, we’ve got you covered at ModBargains – and if you need something installed, look no further than ModAuto. Give our team of Mod Experts like Elliott a call at 714-582-3330 (x8009 for Elliott), chat live at ModBargains.com or book your appointment online HERE. Thanks for joining us! See you next time!